Have YOU Been Charging Your Phone Correctly? You don’t usually think much about batteries… until your phone, tablet or laptop dies. Most people fear running out of power when they’re out and about. When our battery is down to about 50%, our instinct is to immediately charge it all the way up. Many of us charge our phones several times a day, despite the potential of damaging our batteries. The average lifespan for phone batteries is three to five years. How do we properly charge it to keep our batteries alive as long as possible? Batteries do not enjoy eternal life. Most smartphone manufacturers say their devices’ batteries are rated at 300-500 cycles. Apple claims that its laptop batteries reach 80 percent of their original capacity after 1,000 charges. The big question about how to recharge a battery is whether you should let it run completely dry before charging back up to 100 percent. It’s better to not fully charge or fully drain your battery. Lithium-ion batteries do not need to be fully charged. In fact, the stress of high voltages can actually wear your battery down and cause to it to die sooner. Similarly, draining your battery completely also ages it by increasing the total number of “cycles” the battery goes through. There are two stages of battery charging. The first stage, the fast charge period, is when the voltage is higher. It reaches about 70% of capacity during this stage. The second stage, the trickle-charge period, takes much longer, and the remaining battery is slowly charged from 70% to 100%. Lithium-ion batteries cannot absorb overcharge. Once fully charged, the charge current must be cut off, but, not to worry, the charger will do that automatically. Avoid extreme heat and cold. Operating temperatures are between between 32 and 95 degrees Fahrenheit. You can keep your phone out of direct sunlight and take it out of its case while charging to avoid damage to the battery. Q: At what percentage should I charge my phone? A: A good range to aim for when charging a Li-ion battery is from about 40-80 percent. Try not to let the battery drop below 20 percent. Q: When should I do a full battery charge? A: Experts recommend that you do a full zero to 100 percent battery recharge (a "charge cycle") maybe once a month only. This recalibrates the battery - a bit like restarting your computer, or, for people, going on holiday! Q: Should I charge my phone overnight? A: Most modern smartphones are clever enough to stop charging when full, so there isn't a great risk in leaving your phone charging overnight. Q: Should I use fast charging? A: Many Android phones have a feature that allows for fast charging, often referred to as Qualcomm Quick Charge or, in Samsung's case, Adaptive Fast Charging - there are others. The iPhone 6 doesn’t feature fast charging, but its Qualcomm PMIC is smart enough to recognise when you use a higher-amp charger (like the one you get with the iPad), and that’s a good thing because fast charging will heat up that Li-ion battery and cause increased wear. Q:What is the battery memory effect? The battery memory effect refers to NiCad “forgetting” portions of its capacity due to consistently remaining under or over a certain charge level. Lithium-ion (Li-ion) batteries don’t suffer the memory effect so you almost need to do the opposite: charge them often but not all the way throughout the day, and don’t let them drop to zero. Don’t leave a Li-ion battery li-ing around too long at 0 percent. Try to leave it at around 40-50 percent. These batteries drain at about 5-10 percent a month when not in use. If you let the battery discharge completely and leave it uncharged for a long period of time it may eventually become incapable of holding a charge at all (that’s properly dead). It’s unlikely you’ll leave your smartphone lying in a drawer for very long, but some people do leave their laptops, battery packs or spare batteries unused for long periods of time. So try to keep them all at least half charged. and that’s a good thing because fast charging will heat up that Li-ion battery and cause increased wear. I'm not sure if increased wear is a good thing though. Great article to sum up FAQ. Q: Should I charge my phone overnight?A: Most modern smartphones are clever enough to stop charging when full, so there isn't a great risk in leaving your phone charging overnight. 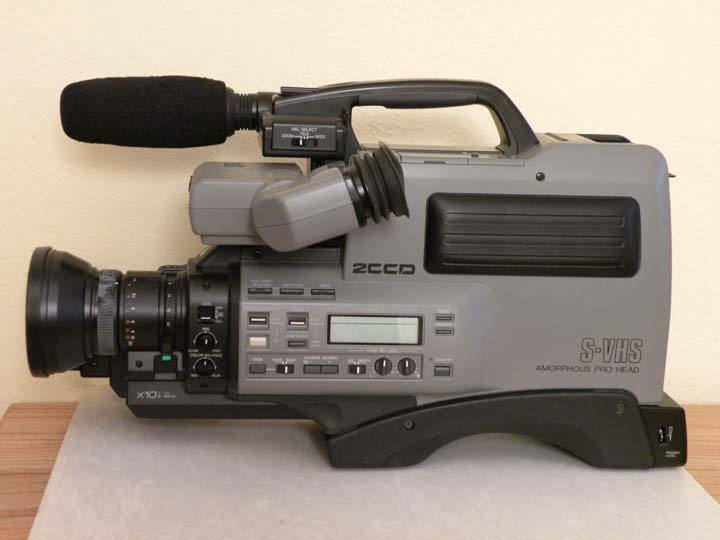 I remember "back in the day" my family had an old VHS-style video camera with a NiCad battery. We had to always discharge the battery all the way before charging the battery again because of the "memory effect". And you couldn't interrupt the charge until it was at 100% again or that would mess it up, too. It was a huge pain to plan around. I'm glad modern batteries are so much more user friendly! Thank you for sharing this with us Anker and making are batteries safer and do's and don'ts on how to charge our batteries. Thank you for the great source of info. I woke up this morning, logged on to my Anker account as I always do, and was so excited to see this post! Don't know why I'm only now seeing it, but nonethless, this sort of thing is exactly the type of info I was asking for in my thread titled "Cleaning/Maintaining/Servicing Anker Products." Of course, my phone isn't manufactured by Anker, but it's still extremely relevant to Anker being that phone accessories are what initially introduced me to the Anker brand, and thus, the Anker community. it's not really serviceable I think, so the best you can do is wipe with dam tower then wipe dry. for the cable, I think there's some cleaning cream which used for shoe can be used here as well. I always charging my phone overnight! Thanks, more hidden knowledge will be revealed and shared. Thanks you for sharing this link with us, it's really insightful! Thanks for the great write up. I typically follow these rules for charging our families' mobile devices. I find that following these basic steps our device's batteries last a little longer than our friends that have the same devices. Cool! I'm very happy to share the useful charging tips with you!